On January 7th in Paris, an Islamist terror attack at the headquarters of the satirical magazine Charlie Hebdo resulted in the deaths of twelve people. It was immediately apparent that the attacks were carried out in retaliation for the magazine’s cartoons depicting the Prophet Muhammad. Shortly after the shooting, Joachim Roncin, a Parisian who works for the French magazine Stylist, posted a defiant message on Twitter with the text “Je Suis Charlie” (which translates to “I Am Charlie”). Although Roncin’s Twitter account had only 400 or so followers at the time, “Je Suis Charlie” quickly became a global rallying cry for freedom of expression and solidarity against terrorism. The phrase, which according to Roncin, means “I am free, I am not afraid,” went on to become one of the most popular news-related hashtags ever on Twitter. Since Roncin originally coined the phrase, there have been attempts by several parties, including Roncin himself, to establish and protect rights to “Je Suis Charlie.” A day after the attack, Yanick Uytterhaegen, a Belgian man, filed an application with the Benelux Office for Intellectual Property to use the phrase in Belgium, Luxembourg and the Netherlands in association with a variety of goods including things such as sporting goods, stationery, cleaning supplies and footwear. France’s National Industrial Property Institute received at least fifty applications to register the phrase as a trademark but announced less than a week after the attack that none of the applications would be granted. At least two trademark applications were also filed in the United States and one in Australia in the days that followed. Both the Australian and Belgian applications have since been withdrawn while the American applications are pending review. There are several reasons why applicants are ill-advised to attempt to have “Je Suis Charlie” and similar slogans registered as trademarks and why offices which rule on these applications are unlikely to grant them. As Roberto Ledesma, a former Trademark Examiner at the United States Patent and Trademark Office (USPTO), explained on his blog, EverythingTrademark.com, in addition to subjecting themselves to public scrutiny and criticism, applicants will likely find their applications rejected and their time and money wasted. Applications for trademark rights in slogans associated with tragedies and social causes has become something of a trend recently. For example, attempts were made to register “Boston Strong” after the Boston Marathon bombings, “Hands Up, Don’t Shoot” in relation to the unrest in Ferguson, Missouri, “I Can’t Breathe” following the death of Eric Garner at the hands of the New York Police Department and “Ice Bucket Challenge” at the height of the viral video fad which promoted awareness of Lou Gehrig’s disease. Such applications are often viewed unfavorably as attempts to commodify and capitalize on tragedies. Illinois woman Catherine Crump has been called “shameless” for attempting to trademark “I Can’t Breathe” and Jezebel writer Jia Tolentino added a taunt, “[s]ee you in hell, Crump!” The ALS Association also withdrew its application for “Ice Bucket Challenge” amid controversy. A sampling of “Je Suis Charlie” merchandise available online compiled by RTL Nieuws. Even if public backlash, whether justified or not, is insufficient to deter prospective applicants, registration is not likely to be granted either in the United States or elsewhere. As Ledesma reminds us, trademarks exist to serve as source identifiers for goods and services. Slogans such as “Je Suis Charlie” are so ubiquitous and noncommercial that consumers will not associate them with a particular source of goods but with the cause, issue or event to which they refer. Applications to register “Boston Strong,” “Hands Up, Don’t Shoot,” and “Occupy Wall Street” were all rejected by the USPTO on these grounds. Registering “Je Suis Charlie” would face an additional roadblock because “Charlie” is a reference to Charlie Hebdo. Lanham Act § 2(a) bars from registration a trademark which falsely suggests a connection between a trademark and other persons, institutes, entities, ideas and so on. Ledesma’s article cites the applications for “Justice 4 Trayvon,” “MH17,” and “Linsanity” which were rejected by the USPTO on the grounds that they suggested connections to the estate of Trayvon Martin, Malaysia Airlines and Jeremy Lin respectively. Once the USPTO inevitably rejects an application for such a trademark, the applicant will have spent a minimum of $225, assuming the cheapest application option and no legal assistance. Capitalizing on “Je Suis Charlie” and similar slogans may also be unfeasible in Europe. Belgian attorney Paul Maeyaert suggests that applications for such slogans can be rejected on moral grounds for their “free riding on a catastrophic happening.” More specific to the rallying cry at issue, attempting to monopolize “use of a slogan incorporating one of the main rights of the Convention for the Protection of Human Rights and Fundamental Freedom (i.e. freedom of speech)” could be grounds for the rejection of an application of “Je Suis Charlie.” Other European attorneys point out that a European trademark office could refuse registration “on the grounds of being disparaging or offensive” or “contrary to public policy or accepted principles of morality” due to their intent to capitalize on a tragic event. Outcomes would ultimately be determined by whether the trademark office in question considered the mark “below the accepted principles of morality” in their jurisdiction. As such, registration determinations could vary between jurisdictions. An ill-fated application in Europe may also cost registrants even more than in the U.S.; Yanick Uytterhaegen, for example, would have been required to pay a minimum of roughly $270 in the Benelux. Fortunately, the social consequences of applying for trademark rights in transcendent, topical rallying cries would be discouraging enough for most people. But there will always be those who feel that the potential for profit makes such applications worthwhile. 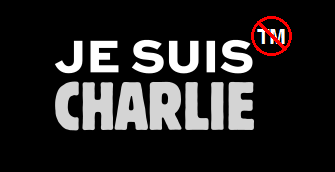 These profiteers should closely monitor the fate of the two American applications to trademark “Je Suis Charlie.” When these pending applications are inevitably rejected or withdrawn, they will join the ranks of the many similar applications which met the same fate and prospective exploitative registrants will be forced to reconsider their position. Roberto Ledesma, Do Not File a Trademark Application For a Trending Rallying Cry, EverythingTrademark.com, http://everythingtrademarks.com/2015/01/10/do-not-file-a-trademark-application-for-a-trending-rallying-cry/. Tim Lince, Je suis a trademark? Slogan-related application just the latest in a growing trend, World Trademark Rev., http://www.worldtrademarkreview.com/blog/Detail.aspx?g=1518ebee-cf96-404c-b248-375a69c86e0b. Abby Ohlheiser, There are now two U.S. trademark applications for ‘Je Suis Charlie,’ because of course there are, Wash. Post, www.washingtonpost.com/news/morning-mix/wp/2015/01/24/there-are-now-two-u-s-trademark-applications-for-je-suis-charlie-because-of-course-there-are/. Adam Sherwin, Charlie Hebdo: Belgian seeking to trademark “Je Suis Charlie” says he wants to help victims, The Independent, www.independent.co.uk/news/world/europe/charlie-hebdo-belgian-seeking-to-trademark-je-suis-charlie-says-he-wants-to-help-victims-9975783.html. Mike Wendling, #JeSuisCharlie creator: Phrase cannot be a trademark, BBC News, http://www.bbc.com/news/blogs-trending-30797059. United States Patent and Trademark Office, http://www.uspto.gov/. Benelux Office for Intellectual Property, http://www.boip.int/. Institut National de la Propriété Industrielle (French national intellectual property office), http://www.inpi.fr/fr/accueil.html. About the author: Dennis C. Abrams, Legal Intern with Center for Art Law, is a 3rd year student at Benjamin N. Cardozo School of Law, with an interest in intellectual property, media, art, entertainment, and sports law. He can be reached by e-mail. Previous Previous post: The European VAT: Good for Tax Revenue, Bad for the Commercial Art Market?